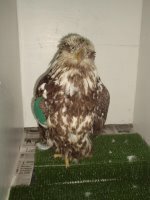 BE 06-27 is the bald eagle from the Kenai National Wildlife Refuge that came to us last saturday. 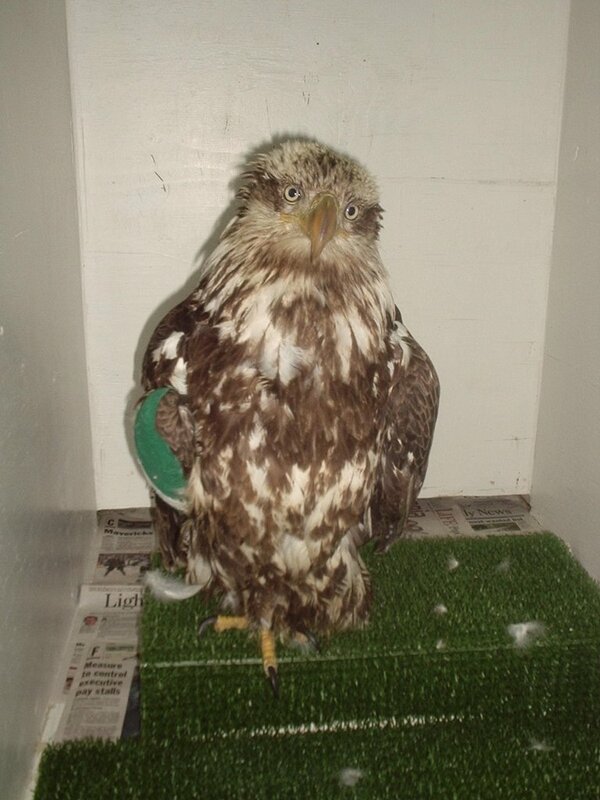 He's had a stainless steel pin inserted into his right wing temporary until it mends. So far things look good, we just have to be patient until it heals. There's a good chance he might be released by fall. Keep your feathers crossed for a speedy recovery. Older PostDo we have baby birds? Sure.